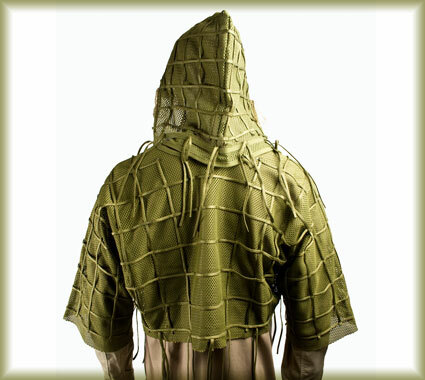 We've just had in the new UK Sniper System Ghillie, the MOSS (Modular Sniper Suit) System. 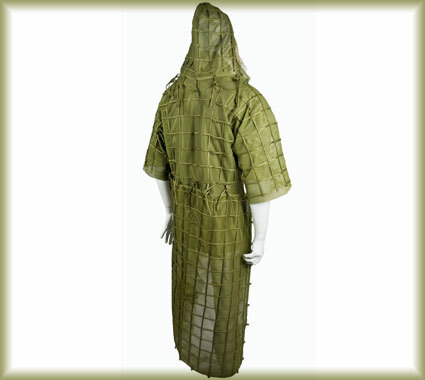 The suit comprises three parts (Hood, Shoulder Cover and Back Panel) that are linked via a loop system. 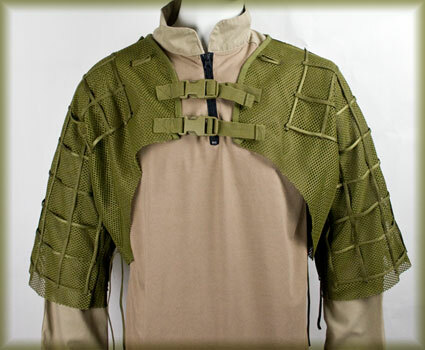 The base of the suit is a tough breathable mesh that is covered in a network of paracord that is bar-tacked for extra strength.